Personal information about Estonian citizens has been collected by a secret division of the US embassy in the capital, Tallinn, for some years now, Estonian media reports. 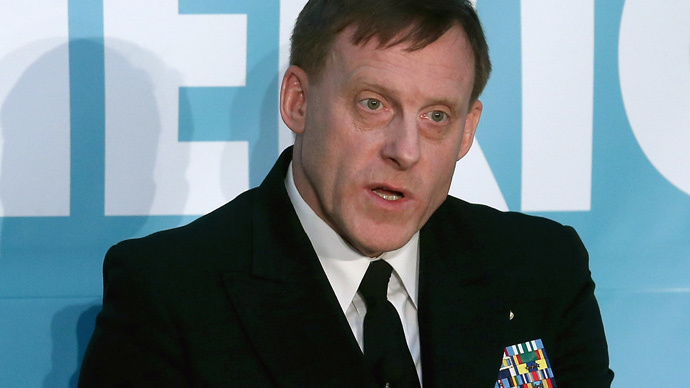 The data has been fed to a global terror database. The Estonian Postimees media outlet reported on Friday that a team of five spooks have been tracking ordinary people passing by within several hundred meters from the American embassy in Tallinn. It has been claimed that the group usually spied on people who happened to visit Solaris shopping center, main headquarters of Eesti Gaas (Estonian natural gas company) and Radisson Blu Hotel Olümpia, all these buildings situated within a 200-300 meter radius from the US embassy. Those passersby who looked potentially dangerous were thoroughly investigated and information about them was added to global terror database. Members of the group usually prepared five to six reports about their activities every month. Postimees claims possession of a document that proves Estonia’s Ministry of Interior knew about the practice and effectively cooperated with the US intelligence. 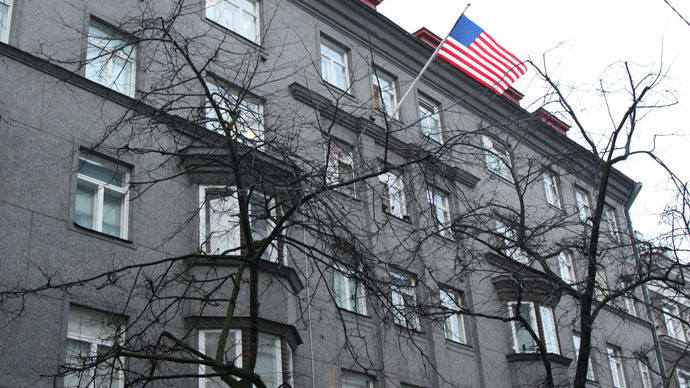 “This is part of normal security measures, as the safety of our staff and guests - both Estonian and American - is a priority for the US government," the media outlet quoted US embassy public affairs officer Bradley Hurst. Hurst allegedly said that the practice had been legally affirmed by the Estonian government in advance. The program of intelligence collection in the vicinity of the US consulates and embassies codenamed ‘Stateroom’ is in place in many US diplomatic missions around the world, former NSA contractor Edward Snowden revealed. It is controlled by a highly-secretive Special Collection Service (SCS), which is controlled by the Central Intelligence Agency (CIA) and the National Security Agency (NSA). The documents leaked by the former NSA contractor Edward Snowden in 2013 revealed that a similar SCS program in Germany enabled American intelligence to systematically tap private mobile phone of German Chancellor Angela Merkel, which led to the largest diplomatic scandal between Berlin and Germany in many years. 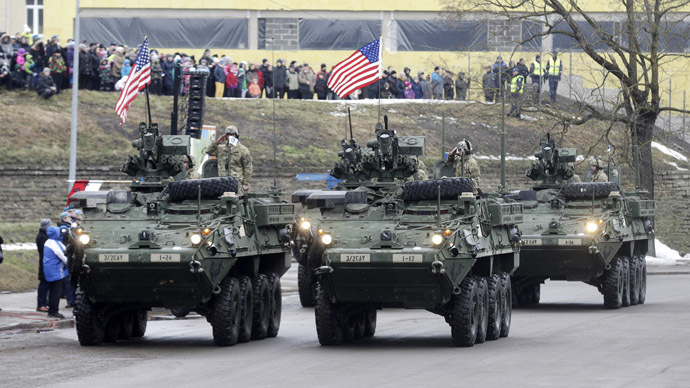 Following its accession to NATO in 2004, Estonia has maintained very close military cooperation with the US-led alliance, regularly participating in military drills and hosting them on the national territory. 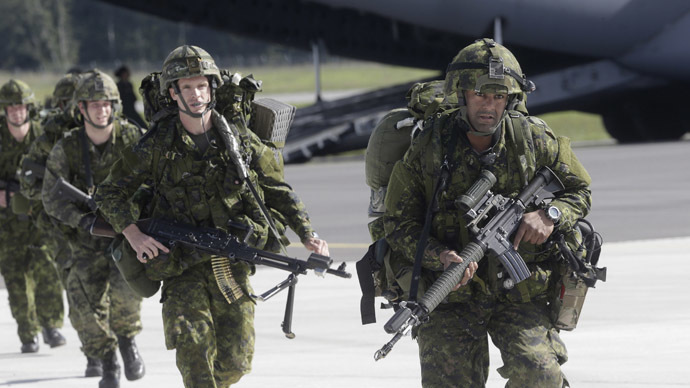 Estonian troops have taken part in NATO and the US military operations, such as missions to Iraq and Afghanistan.